【1】原著P XIX: In 1912-1913, the 13th Dalai Lama returned to Tibet from exile in India (see Map 1). His ragtag volunteer force expelled all Chinese officials and troops from Tibet, reestablished his rule, and began a thirty nine-year period in which Tibet held total control over its own internal and external affairs. China never accepted this state of affairs, and the Republican and Kuomintang governments worked to restore Chinese control. They were unsuccessful, however, and when Chiang Kai-shek fled to Taiwan in 1949, the Tibetan government alone still controlled Tibet. 【2】原著P43 The 13th Dalai Lama also experienced external threats to his rule from both China and Britain and would never take for granted the exercise of his right to rule Tibet. 【3】原著P270 Williamson's condition worsened, and on 18 November 1935 he died of chronic uremia. 【4】原著P474 that it was H. E. Richardson, the head of the British Mission in Lhasa, who first brought Reting's request to the Chinese to the attention of the regent. 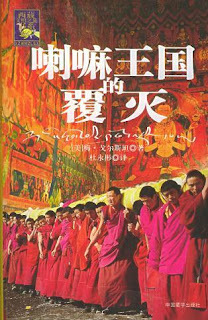 【5】原著P515 Taktra overruled them, instructing the Kashag to change the punishment as follows: "Although the verdict is reasonable taking into consideration the seriousness of the crimes, I request that the punishment of taking out the eyes be withdrawn for the benefit of the young Dalai Lama's long life. This is my personal verdict." On receiving that order, the shapes expressed surprise at the leniency the regent was showing to the enemies who had tried to murder him. 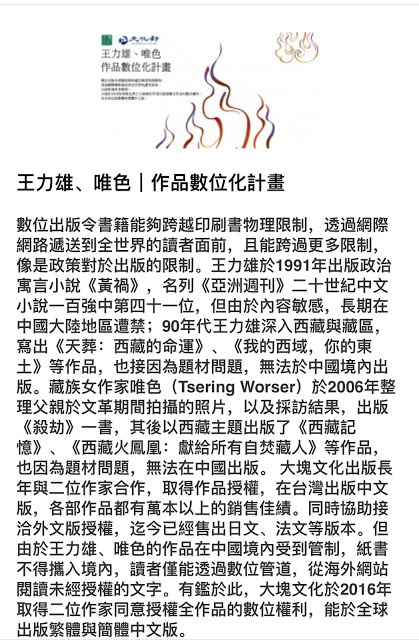 【6】原著P528 Our view is that if under pressure from the Chinese we were to disregard the definite request of the Tibetan Government that visas should not be granted we could no longer maintain the position that Tibet is autonomous and give account of our support in maintaining its autonomy. 【7】原著P530 The matter that is agitating Chinese minds most is clearly anxiety to avoid having the status of Tibet examined by any international body. 【8】原著P577 the State Department notified the U.S. Embassy in Delhi that the proposed visit was permissible, but only under specific conditions that were very unfavorable to the Tibetans. The embassy was specifically instructed not to issue U.S. visas on the Tibetan passports. decision regarding the first point of the Chinese Ambassador's proposal. 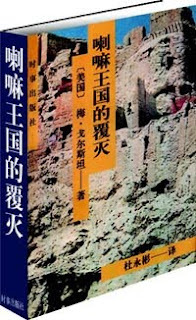 【10】原著P716 On both these counts the research division of the Foreign Office concluded that all the evidence showed that Tibet was not merely a portion of China but, rather, had a clear international identity of her own. In 1912-1913, the 13th Dalai Lama returned to Tibet from exile in India (see Map 1). His ragtag volunteer force expelled all Chinese officials and troops from Tibet, reestablished his rule, and began a thirty nine-year period in which Tibet held total control over its own internal and external affairs. China never accepted this state of affairs, and the Republican and Kuomintang governments worked to restore Chinese control. They were unsuccessful, however, and when Chiang Kai-shek fled to Taiwan in 1949, the Tibetan government alone still controlled Tibet. The new People's Republic of China continued the Kuomintang's Tibet policy and set as an immediate goal the reintegration of Tibet with the "motherland". 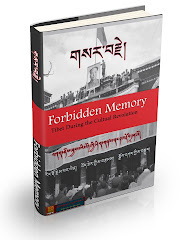 In October 1950 it launched military offensives which quickly defeated the Tibetan forces, and in May 1951 the Tibetan government, under the authority of the sixteen-year-old 14th Dalai Lama, signed the now-controversial Seventeen Point Agreement, in which Tibet for the first time in its long history formally accepted Chinese sovereignty, albeit with regional autonomy. 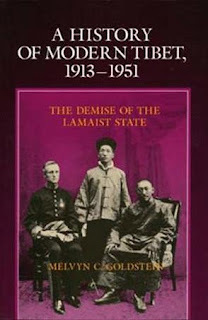 Though the nature of Sino-Tibetan political relations before 1913 may be open to dispute, Tibet unquestionably controlled its own internal and external affairs during the period from 1913 to 1951 and repeatedly attempted to secure recognition and validation of its de facto autonomy/independence. It is equally unquestionable that Chinese Leaders in the twentieth century, Nationalist and Communist alike, believed that historically Tibet was a part of China and sought to reunify it with the “mother” country. This disjunction of beliefs between the two countries created a climate of tension and dispute. Both tried to reach a common ground wherein their aspirations could be satisfied, but in the end Tibet was forced, for the first time in Tibetan history, to accept Chinese sovereignty. well done! Luckily I read the English version. It is equally unquestionable that Chinese Leaders in the twentieth century, Nationalist and Communist alike, believed that historically Tibet was a part of China and sought to reunify it with the “mother” country. 他忠告 少数民族加入中国是自愿的.可是中共吞没的所有的少数民族地区 . 到现在还出现 藏独和维独之类的政治动荡是中共的野心造成的.